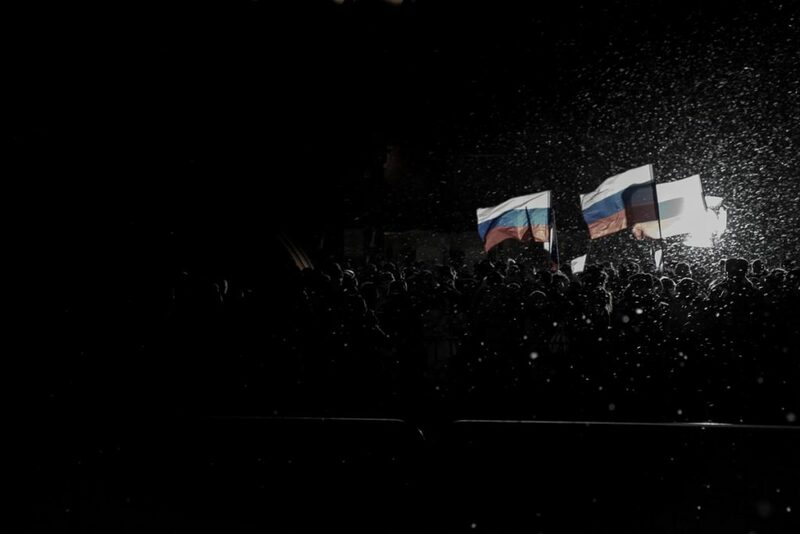 This was taken in 2012, just after the announcement that Vladimir Putin had won the election to become president again. After Dmitry Medvedev’s four years as president Putin’s term limits had now been reset. These were his supporters filing in to the center of Moscow to attend the long planned victory parade.